April is Grange Month. I hope you have planned an extra Grange activity this month. 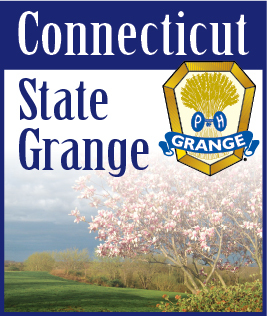 Does your Grange select a Community Citizen to recognize each year? If you do, that is great. Get pictures and announcements in the paper. In many areas of the State you can get better publicity in your weekly hometown newspaper than in the larger regional papers. If you don’t present this award, this would be a good year to start. The Community Citizen Award is given to anyone who gives of their own time and talent to work for the betterment of the community. This should be volunteer work, not someone getting paid to do a job. Don’t know where to start? Try giving it to your Volunteer Fire Department. These brave men and women risk their own lives to serve you. And, they have to practice on a regular basis taking time away from their own families. They get called out in the middle of the night and still have to get up the next morning to go to their paid jobs. Also, if you give it to a group you will get more people to attend your meeting where you can take time to talk about all the benefits of the Grange. I’m sure you can think of many more deserving people in your area. Does your Grange serve good refreshments? Do you anxiously await the night Sue or Mary are in charge because of that special dessert they make? Why not write about it and enter our Essay Contest. The title this year is “My Favorite Food”. It seems like all Grangers like to eat so I am hoping to bombard the judges with entries. The only requirement is that it has to be 150 words or less. Your entry gets mailed to me and you can do it now if you want, but it has to be in by October 1st.